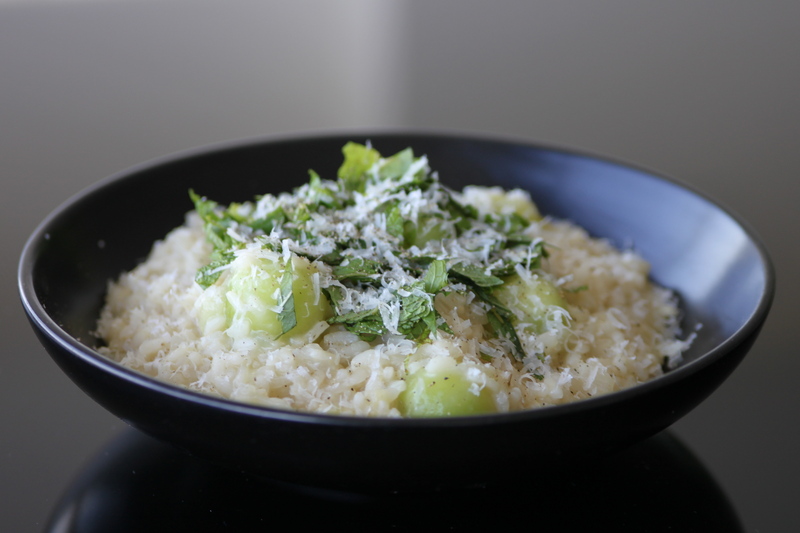 Oh Melon Risotto, I should have been making you all summer! I first had Melon Risotto a year ago during a sweltering afternoon in Milan. It was one of those extremely hot and sweaty days only the old streets of Italy produce. I was very hungry after a morning of walking, but still wanted something light that tasted of summer. 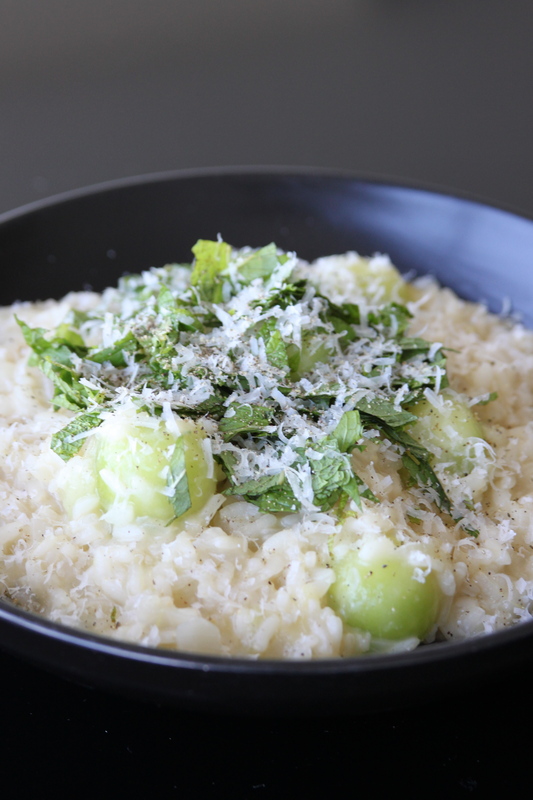 Enter Melon Risotto and a glass of cold white wine–my life was changed. 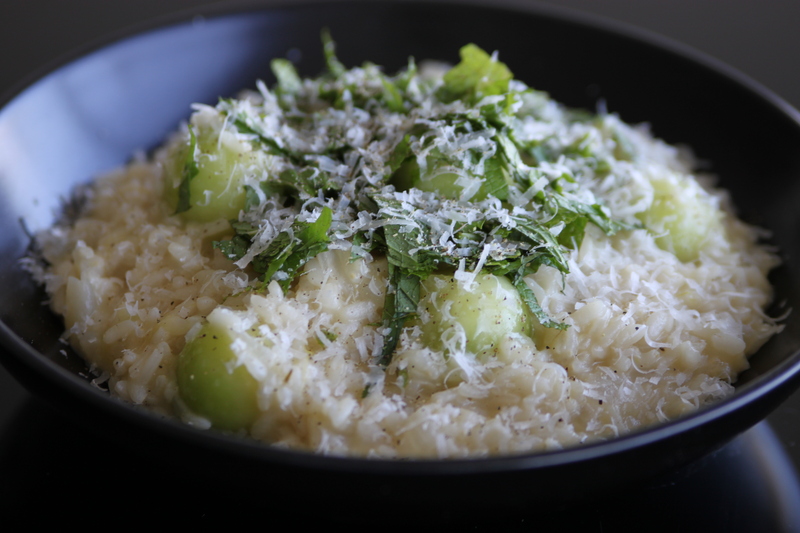 It may seem a bit counterintuitive, but the melon flavor goes swimmingly with the saltiness of the Parmigiano-Reggiano all while adding a nice consistency to the arborio rice. Make this ASAP for a special summer meal. The key to this dish is melon, so get a fragrant and ripe one. You want a melon that packs some serious flavor. Go for the musk. I splurged on good cheese for this. There are not many ingredients in this dish so it’s worth it. You want that salt and nutty flavor to stand up to the melon. An onion will round it all out. I kept my melon in two forms: balls and smashed to a pulp. I wanted chunks in some bites and at other times silky smooth melon flavor. 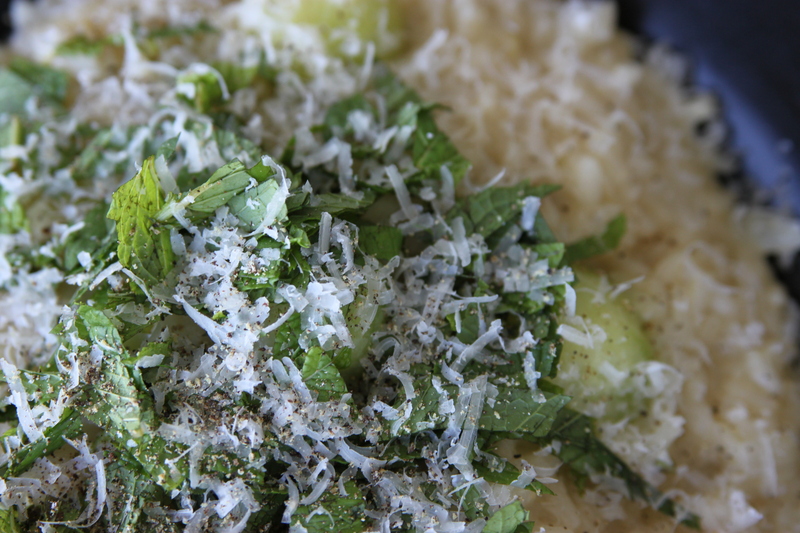 Top with fresh mint and grated Parmigiano-Reggiano and a bit of fresh ground pepper. The perfect summer dish. Your rice should absorb all that amazing melon flavor but not lose any of its form. This is like cooking any other risotto. Enjoy with the rest of the cold white wine for a true taste of summer. 1) Add chicken broth to a large pot and turn heat to high. 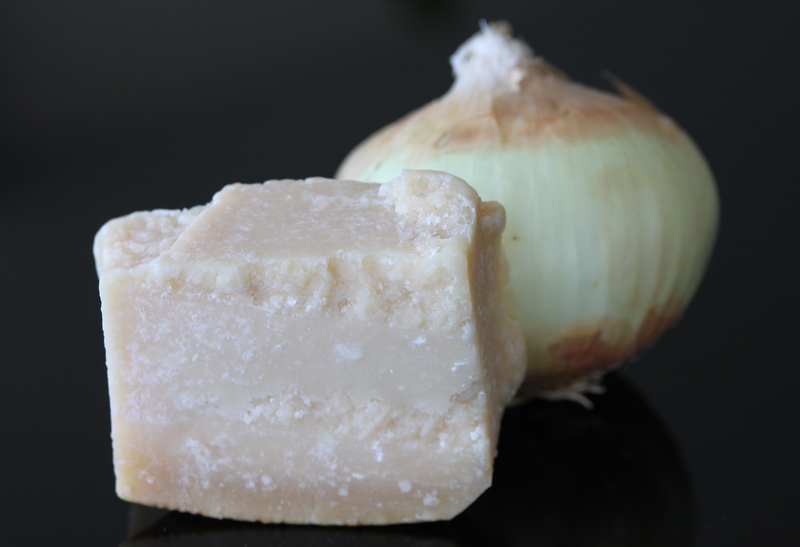 If you wish, you can augment your store bought chicken stock with some sea salt, fresh ground pepper and herbs. I added just a bit of dried thyme and white pepper to my chicken broth. Bring chicken broth to a boil and then turn heat to low. Keep the broth on a low simmer throughout the risotto preparation. 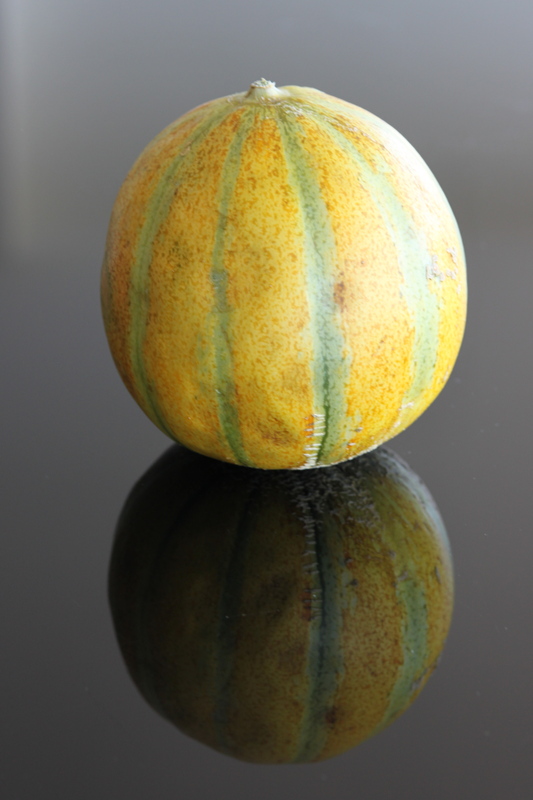 2) Wash and dry melon, then cut it in half. Remove seeds. You are going to end up using about 3/4 of a melon depending upon the size of it. 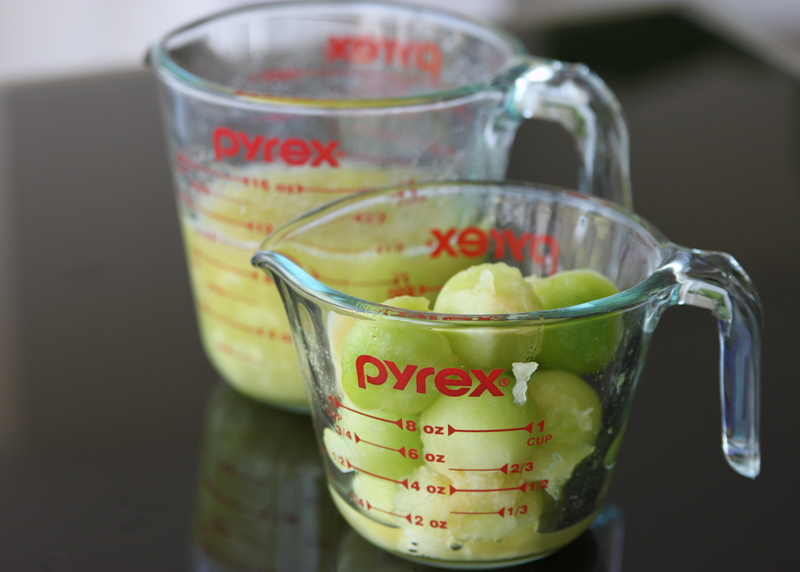 Using a spoon, remove roughly half of the melon by simply scooping it out and placing it in a glass measuring cup. Use a fork to smash the scooped out melon and measure 2 cups. Do not leave too large of chunks as there are melon balls coming, so this is where a ripe melon comes in handy (you definitely want some juice to result from the smashing). Using a melon baller, scoop 1 cup of melon balls and place to the side for later use. 3) Heat a large dutch oven on medium-high heat. Once the pan is hot add 2 Tbsp. of olive oil. Let olive oil warm then add 1 diced yellow onion. Cook for 8 minutes constantly stirring till onion has softened. Then add rice. 4) Toast rice in the hot olive oil and onions for 4 minutes stirring constantly. You are not cooking the rice here, you simply want to toast it and lock in some flavor. 5) Once rice has been toasted and the onions have softened further, add the white wine. Stir the rice, onion and white wine mixture coating the rice. Cook for 5 minutes or until the wine has reduced by 2/3. 6) Now comes the hard work. Add 1 cup of hot broth at a time as you stir the risotto. You should let each cup be nearly completely absorbed before adding the next cup of hot broth. Stir constantly as the rice absorbs the broth. 7) After you have added 5 cups of hot broth and it has been nearly absorbed add the 2 cups of melon pulp along with another cup of hot broth. Stir. Make sure you add the 6th cup of broth at the same time as the melon pulp as you want some liquid in the pot to cook along with the melon. 8) This is where you must make a judgment call. I like my risotto on the nuttier side so I don’t add another cup of broth. Some like their risotto softer and with more liquid. So this is up to you after testing your desired level of cooked rice. Either add another cup of hot broth along with the grated parmesan, or only add the grated parmesan by itself. Stir, incorporating all the melted cheese. 9) Remove pot from medium-high heat and place on a trivet. Add melon balls and stir. Wash mint leaves and chop. 10) Serve. Then top with fresh chopped mint, fresh ground pepper and freshly grated Parmigianno-Reggiano.